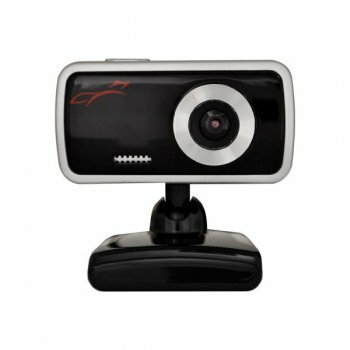 LOGICFOX LF-PC005, consists of the usual web camera matrix at 1.3 megapixels, from the Chinese manufacturer. The design and mounting system is standard. It can be attributed to the economy class, as the resolution of the video she is 1280x1024 pixels per inch, and the manual focus, but it can be quite convenient. To the computer it can connect via USB 2.0. It also has a built-in microphone, but mediocre quality, but not a very demanding user will suffice.